4，This one is a team model for wedding. 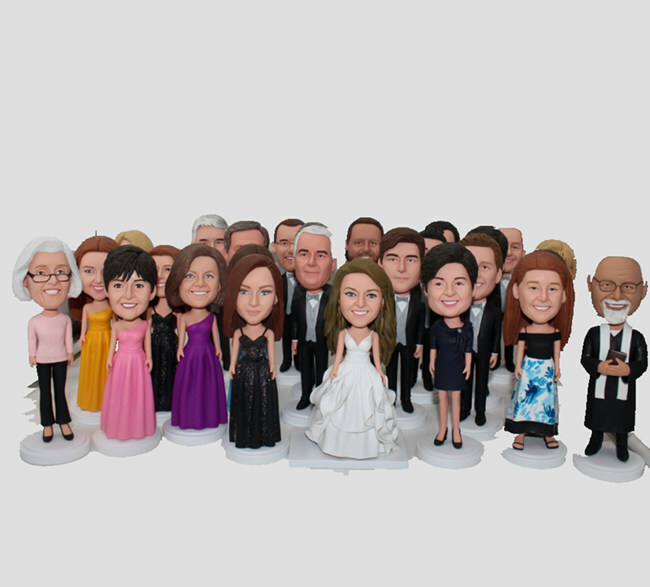 If you need to place a bulk order for your wedding, please contact our client service to confirm the quantity and all the detials about the bobbleheads. Pose and outfits for each doll can be customized as well.